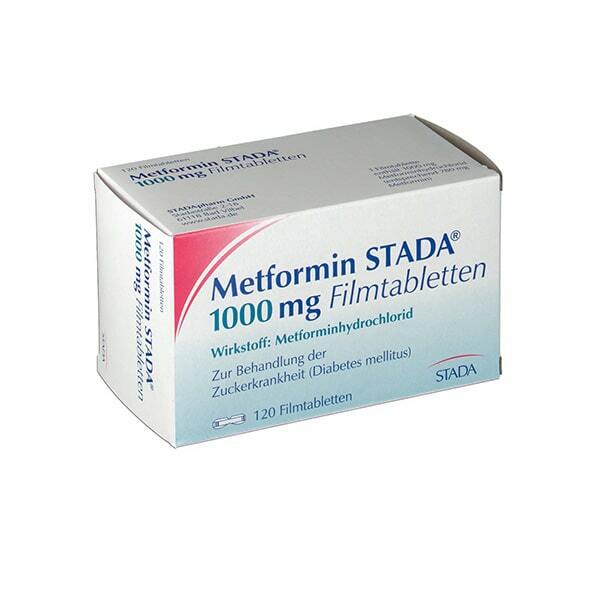 Metformin is used to control blood sugar level in Type 2 diabetes patients. It may be used alone or along with other medications or insulin. Metformin is a Biguanide that reduces the amount of sugar produced by the liver, increases the absorption of sugar into the muscles and also reduces the body’s need for insulin. Metformin may be taken with or without a meal. The treatment with Metformin must be continued for the complete scheduled period. If you discontinue treatment then it may lead to a re-infection in which the fungi will be resistant to treatment. Store Metformin in a cool and dark place at room temperature. Do not store it in a place where it can get exposed to direct sunlight or moisture. Before using Metformin, you should consult a physician and discuss about your medical history. Metformin may interact with some medications. So if you are using any prescription, non prescription, OTC medicines or dietary supplements, then inform your physician in advance before you use Metformin. Some people have developed a potentially fatal condition while using metformin. The condition is called Lactic Acidosis and the risk of these happening increases if you have liver or kidney disease, congestive heart failure, a severe infection or if you drink large amounts of alcohol. Your blood sugar will need to be monitored constantly while using Metformin. Metformin must be used along with a proper diet and exercise program. Metformin may be passed on to the baby if you are breast feeding. Please speak to your doctor about the potential risks of breast feeding while using Metformin. These side effects usually subside by themselves in sometime as the body gets used to Metformin. Muscle pain or weakness, numb or cold feeling in your arms and legs, trouble breathing, feeling dizzy, light-headed, tired, or very weak, stomach pain, nausea with vomiting or slow or uneven heart rate, feeling short of breath, even with mild exertion, swelling or rapid weight gain or fever, chills, body aches, flu symptoms.